Home » Blog » Basic Income. Is it a Silver Bullet for Poverty? Everyone wants to end poverty. The controversy begins when you start talking about how to solve the problem. One solution which has received a lot of media attention lately is the concept of a basic income or guaranteed annual income. In Ontario, former senator Hugh Segal just released a report (after this show was recorded) which will guide the Ontario government in developing a pilot project around basic income. To help us better understand the costs and consequences of a guaranteed income program, I talked with David Macdonald, senior economist with the Canadian Centre for Policy Alternatives. The CCPA has released a detailed study on basic income called A Policymaker’s Guide to Basic Income. What is basic or guaranteed income? The idea is that cash transfers are a way that we can alleviate poverty and have other beneficial effects. And the idea of basic income is that you get a cash transfer that you didn’t have to apply for or the application for it is fairly minimal. 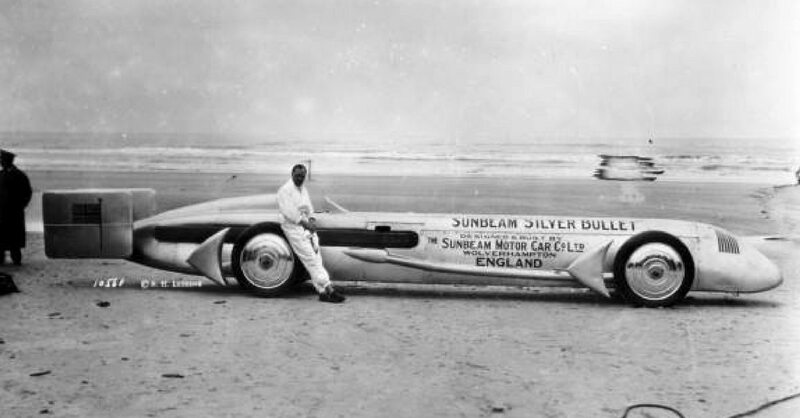 Benefits: Is it the Silver Bullet? Every child, senior or adult receives an identical cheque in the mail (or via direct bank deposit). Income is then clawed back through the tax system. The second approach is a negative income tax or targeted program. Almost every basic income program in Canada (such as the Guaranteed Income Supplement) is structured this way today. There are many benefits to a basic income program. The most measurable of course is reducing the percentage of Canadians living below the poverty line. However there are other, harder to measure advantages including higher education levels, a reduction in medical expenses, particularly mental health costs, and a reduction in crime rates. Of course the two most common criticisms around basic income are the cost and the possible ‘disincentive to work’. David talked about the 33 federal and provincial basic income programs already in existence. The cost of any basic income program will depend partially on how the program is implemented. Will it become a 34th program targeted at specific groups, or a more universal replacement plan for existing programs? As to the disincentive to work issue, again David explains that it comes down to how the program is designed. If the clawback is not too high, in other words for every extra dollar you earn you keep say 50%, then the risk of abuse is low. Similarly, if there is a time delay between when your income increased due to say extra hours worked, and when your benefits were reduced, the disincentive is also limited. I think that a basic income is often seen as a silver bullet to eliminating poverty and I think that hopefully [the CCPA] report points out that it can be very helpful for some groups but it’s not as useful for other groups…. There’s a multiplicity of solutions to poverty not just a single one. I know from experience that more than one-third of all insolvencies in Canada are caused by some form of income reduction. A basic income would certainly reduce the risk that individuals will take on excessive debt to pay for necessities like rent and food. However paying for the program will likely increase taxes overall. If not done correctly, this could lead to an increased insolvency rate among working Canadians who see their take home income reduced. For more of our discussion, listen to the podcast or read the full transcript below. You may also like to listen to our Podcast with David Bond to hear his thoughts on basic income and the treatment of capital gains tax in Canada. 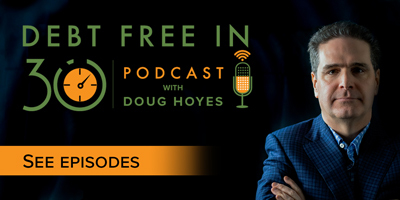 Doug Hoyes: Today we are going to explore a topic we have never discussed here on Debt Free in 30. It goes by many different names, including guaranteed annual income or basic income and it’s been in the news more frequently since June when the Ontario government appointed former senator Hugh Segal to provide advice on the design and implementation of a basic income pilot in Ontario as announced in the 2016 Ontario budget. So, what is basic income? How would it work? Who would qualify for it? How would we pay for it? These are all important questions so for the answers I’m joined by an expert who released a detailed research study on basic income. So, let’s get started. Who are you, where do you work and what do you do? David Macdonald: My name’s David Macdonald, I’m senior economist for the Canadian Centre for Policy Alternatives, which is a think tank in Ottawa. Yeah, we look at a variety of public policy issues like a basic income. Doug Hoyes: And so you have prepared a document called A Policymaker’s Guide to Basic Income, which was released early in October in 2016. Let’s talk about basic income then, can you start by giving me what your definition of basic income is? And I realize there are other terms for it as well, guaranteed annual income and so on, but what’s your definition of basic income? David Macdonald: Yeah so there’s quite a few different terms that are applied to this idea. The idea is that cash transfers are a way that we can alleviate poverty and have other beneficial effects. And the idea of basic income is that you get a cash transfer that you didn’t have to apply for or the application for it is fairly minimal. And that there’s no real rejection of people, so there isn’t a subjective process where you say this person should get this money and that person should not. Usually it’s basic income test of some kind. But basic income generally doesn’t have a rigorous application process it’s more of an automatic mechanism and the only real requirement is citizenship, so you’re a Canadian citizen, and therefore you’re entitled to these types of transfers. And the other piece is that the money is no strings attached in the sense that no one is looking over your shoulder and checking your bank statement to see whether you spent too much on tuna and not enough on rent or vise versa. So, that’s the basic parameters of a basic income. Doug Hoyes: So, in simple terms it could be a cheque or a bank transfer that goes to every Canadian of a set amount every month. And we’ll talk more about the specific advantages and disadvantages, obviously one of them being that it’s simple. In your research paper you go through a whole bunch of different possible scenarious, because of course the devil’s in the details, as to how this would actually work. And you discuss two basic forms of basic income and then there’s kind of subcategories of them. So, I’d like you to give us a quick overview of each of those two. So, the first one is one size fits all approach, so how would that work? David Macdonald: Yeah, so these are basically the extremes of basic income. There are infinite ways of structuring it in between but the two extremes are everybody gets the same amount. So, whether you’re rich or poor, whether you’re a child, a senior, an adult, it doesn’t make any difference. Everyone gets an identical cheque in the mail. And then you can say maybe that gets taxed back at the end of the year, something like that, that’s the one size fits all. And then the other approach, the other extreme, is what could be called a negative income tax or more of a targeted program. And the basic incomes that we have today or the transfer programs that we have today, are almost all structured as negative. Well, in fact they are all structured as negative income tax. We used to have the universal childcare benefit, that I think would be more like the universal cheque in the mail to every, you know, it’s a per child amount, but that was cancelled in July. And so, these are the two extremes, everyone gets the same amount or targeted approach where if you make nothing then you get the maximum amount and as you make more the benefit decreases so it’s somewhere in the middleclass the benefit completely tapers out and you don’t spend any money at the upper middleclass or the richest Canadians. Doug Hoyes: And obviously there’s implications for the cost of that, which we’ll talk about as well. So, looking at this from a big picture point of view why are we thinking about basic income? What are the problems that we think we have that we think a basic income might go towards solving? David Macdonald: Well, it’s actually not a new idea of transferring money to people in an attempt to reduce poverty as well as other beneficial effects. And in fact it was very much in vogue in the 1970s, 60s and 70s. And in Canada we actually ran a pilot project in Dawson Manitoba, which is a small town in Manitoba in the 1970s where a basic income transfer was put into effect. Now it’s seen more traction in the last couple of years in large part due to its incorporation in election platforms. And when parties are elected then they start implementing pilot projects not full blown basic incomes but picking a particular town and saying okay, we’re going to make sure that there’s a basic income that everyone gets, a floor if you will on incomes. And so, in Ontario they are just now developing their pilot project, which will likely run for three or four years and they’ll pick a town somewhere in Ontario and say this town, everyone in that town is going to get a minimum income or basic income of whatever. And so the details are just being worked out now so there’ll be an important report that will be put out likely in the next month or so that will detail exactly what they want to do in the pilot projects in Ontario. But again, this is not a new idea but it’s an idea that’s gained some traction in terms of its impact particularly on poverty reduction. So, poverty is just a line in the sand in essence, it’s a certain amount of income and if you’re below that income line then you’re considered low income and if you’re above that line then you’re not considered low income. And that’s how poverty is measured. And so, if poverty is just a measure of income then one of the ways you can increase income is by transferring money to people and therefore reducing the poverty rate as a result. Doug Hoyes: And other than reducing poverty, what other positive potential benefits are there to a basic income or is that really the only major benefit there is? David Macdonald: Well, it’s one of the more measurable ones. I think it’s a lot easier to measure. Certainly in the 1970s when pilot projects were occurring in Canada and the US, in Dawson Manitoba some of the results were that people were more likely to go back to school. So, instead of working, they’d go back to school. You saw in some sense, in some cases, reduced medical expenses, particularly improved mental health as people had more income and also a reduction in crime rates. And so there are also, in addition to reducing poverty, there are also other impacts. And they’re a little harder to measure. And so some of the pilot projects that are planned, I mean particularly in Ontario will track things like health expenditures, incarceration rates, mental health, education rates and those sorts of things to see what other impacts a basic income might have. Doug Hoyes: So, we can see a bunch of obvious advantages to a reduction in poverty, people more likely to go back to school, better education, crime goes down and so on. But there are I think two obvious disadvantages and presumably these are the criticisms that most people would level when you mention a basic income, number one, the disincentive to work and number two, the cost. So, can you give me your thoughts on each of those? So, disincentive to work, pretty easy to understand, well if the government’s going to send me a cheque for $1,500 a month and that’s enough to cover my rent and my groceries, why would I bother getting a job or if I maybe have two part-time jobs, why would I bother working at the second one? I don’t need it anymore. Is that a valid criticism? David Macdonald: Yeah, I mean it’s worth pointing out that we have 33 basic incomes already. We don’t – this isn’t an idea that was an idea in the 70s and we never applied it. In fact all of the income transfer programs that we have outside of EI and social assistance are basic incomes already. And so, now they’re applied differently so if you’re a senior for instance you get substantially more than if you’re a single adult. So, in Ontario for instance the basic income of the combined programs, so these 33 programs if you’re a single senior in Ontario, the floor in your income is $17,700. And so, you cannot make less than that in Ontario in essence as long as you’re filing your taxes and therefore you gain access to these programs. You don’t have to work, you don’t have to have done anything in particular, you don’t have to have paid into a particular pension plan. That is the floor in your income already in Ontario. If we look at single adults in Ontario, the combined federal, provincial basic income programs would result in a basic income of $600 a year. So, that’s really very little. And if you have children then you gain access to programs like the Canada Child Benefit, which is basic income that’s, you know, has a starting amount and as you make more, then the benefit gets clawed back. So, one of the big questions around basic incomes is how does an idea of a basic income fit in with the 33 that we already have? Do we want to change the 33 that we already have, do we want to add a 34th? Do we want to cancel the 33 that we have and replace it with a single basic income? That’s some of the things that the paper looks at. Now back to your original question of cost and disincentive. Certainly one of the downsides of a basic income is that it costs money. If you’re going to transfer money to people well that money has to come from somewhere. So, the question is how can you do that most effectively in the sense that you’re not wasting money, you’re not spending more money than you need to in terms of reducing poverty and getting the other potential benefits, health, crime and so on? And I think what’s clear from the paper it’s very easy to design a basic income poorly such that it costs a lot of money and doesn’t have the impact that you might want it to on poverty reduction or has a very expensive impact on poverty reduction. In terms of work disincentives, I think this is true to some degree. Although with the basic incomes that we have there’s such a disconnect between when you worked that extra amount of time and when your income might be effected. I think the disincentive is fairly limited. So, in most cases the basic incomes are structured such that for every new dollar that you make in earned income, you would lose a portion of the benefit. And so, usually that portion is under 50%. So, you make an extra dollar but you lose 50 cents on the benefits. So you’re still 50 cents better off and that’s more of the sort of high end is 50%. I don’t think you’d really want to go much higher than that because then I think you get into some disincentives as you say. But most of the basic income programs at present have a lower claw back than that. And the other thing to remember of course is that the basic income that you get in this year is based on the amounts that you made in the last tax year. And so, if someone today say were to work an extra, you know, couple of shifts this week and make an extra 100 bucks. Well, they wouldn’t actually see the impacts of that on their basic incomes for probably six months. Well, their taxes were filed, they went through the system, they got caught up in the basic income system and so you probably see that change in June. Well, that’s a pretty big delay and the change wouldn’t be dramatic. And so, I think that the work disincentive, yes absolutely if you go over a certain claw back I think it becomes an issue. But there’s such a time difference between you working an extra couple of shifts and your basic income changing that it’s not quite as important as people might think. Doug Hoyes: Yeah and I guess they key point is this is not like unemployment insurance, or employment insurance as we call it now, where every week I submit my information and that effects what my employment insurance cheque is going to be next week. This is probably going to be done on an annual basis based on last year’s taxes, kind of like child tax credits are I guess, they change once a year. So, it’s not a day to day fluctuation. Now back to the issue of cost then so you said we currently have 33 different basic income support programs in Canada. Can you give me like two or three examples of what the big ones are? David Macdonald: Sure. The big ones are the Canada Child Benefit, which goes to families with children. Old Age Security and the guaranteed income supplement, which are supports for low income seniors. And then sales tax credits, so the GST tax credit, the HST tax credit, the carbon tax credit in B.C. so, each one of those there’s a federal component to each one of those and in most cases there’s a provincial component to each one of those. So, the provinces themselves will have a program for low income seniors for instance in addition. Doug Hoyes: Got you. So, we already have a bunch of these programs. So, if a basic income program, a universal basic income program was to come into affect let’s say in Ontario just as an example, you’ve got two choices. One choice is add it to what’s already there, the second choice would be to reduce or eliminate some of the things that are already there and use those savings to pay for some of the costs. I think you quote in your study, you know, if for example we were to leave everything the way it is and give everyone an extra thousand dollars you would need to raise the GST from I don’t know 5 to 9% or something. Am I quoting you correctly there as to what the cost would be to make an incremental change like that? David Macdonald: Yeah, exactly. And so if you decided we need a 34th basic income on top of the 33 that we already have and that 34th income would be designed in such a way that everybody gets a thousand bucks in the mail, man, woman, child, rich, poor it doesn’t make any difference, everyone gets a thousand bucks. That would cost you about 29 billion after you clawed back, well, not clawed back, but after you tax that money at the high end, which is a fair amount of money. And so, you’d have to increase GST from 5 to 9% or you’d have to increase income taxes by a fifth to pay for that. So, this is an example of one of the approaches to basic income that would cost a lot of money. You would reduce poverty rates by about two points from 11.7 to 9.7, so that’s positive, lifting about 700,000 people out of poverty. But it would be very expensive using this approach. And I mean it’s not hard to see why it’s expensive, you’re sending cheques to rich people that don’t need the money. So, you’re not getting poverty reduction by sending cheques to rick people. It’s simpler to be sure but that comes at a dramatic cost to treasury. Doug Hoyes: So, final big picture question for you then, what’s the solution. So, if I was to give you a magic wand and say okay, you are now the Prime Minister, the Premier of the province, whatever and our goal is we want to reduce poverty, we also want some of these other benefits, you know, lower crime, some of the other advantages of a basic income but obviously we don’t have unlimited resources – this costs money. What would you do? David Macdonald: Well, I think the most – I mean the paper looks at a bunch of different scenarios where you start cancelling programs that already exist. You cancel the basic income programs that are already exist, you cancel EI, you cancel social assistance. And whenever you start cancelling programs to fund a new basic income, you end up with winners and losers. And usually the losers are single senior women unfortunately because they have a fairly high basic income. And so if you start cancelling programs and moving that money to other places, those folks become losers. And I think that that’s going to be a pretty unpalatable political decision. So, I don’t think anyone’s going to cut transfers to single senior women. And so, what I think is most likely is it will see some sort of 34th basic income on top of the 33 that we already have. And I think that in order to not have it be tremendously expensive, it will likely be targeted by the negative income tax approach, which is to say you set a floor so folks can’t work for ever reason, they don’t have any income, they make a minimum amount. And once they start working, that amount gets clawed back a bit, say 50 cents on the dollar or something like that. And that approach I think is the most likely that we’re going to see. And what’s interesting is the different age groups see differential impacts and so particular for adults in their middle ages, 50 through 65, they don’t gain access anymore to the child benefits ’cause the children have moved away. Disability rates go through the roof for low income people in their 50s. So, people have worked hard jobs all their lives and they can’t work anymore for whatever reason or their spouse can’t work. And so you see very high disability rates. And those folks can’t get access to the senior’s benefits yet ’cause they’re not old enough. And so, that I think is a place where you’d see basic income be the most effective is for folks from 50 to 65 who are in low income, less effective for families with children and less effective for younger workers in part because they make too much and therefore you see a claw back on the basic income. Doug Hoyes: One of the big advantages of a basic income if it could replace other programs is other programs that require a lot of follow up. Like E.I for example, you’ve got to look each week to see what your pay was to determine what your pay is going to be next week. That requires a lot of bureaucracy, a lot of costs. I think in your paper you say that some programs cost up to 10% of the money dispersed. So, for every dollar that gets disbursed, there’s 10 cents worth of administrative and bureaucratic costs. If you had a basic income where everyone gets the same cheque, there is almost no cost to that because well, if you’re a citizen here’s your cheque. We don’t have to look at any requirements. So, by adding a 34th program don’t you lose the benefits of consolidating some of the programs that we have? But at the same time you’re adding more cost to it, doesn’t that make it perhaps politically impalpable to even do that? David Macdonald: Well, the 33 basic incomes that exclude E.I and social assistance are very cheap to administer ’cause they’re just based on last year’s income. And so you create a 34th program that’s also based on last year’s income and it would be very cheap to administer ’cause there isn’t that up to date, you know, you don’t have to keep the record particularly up to date. You’re absolutely right though that particularly social assistance and E.I have high management administrative costs that are around 10% of amounts dispersed. So, if you pay out $100 on social assistance it’s going to cost you $10 to administer that program in contrast to the basic incomes where I mean it essentially costs nothing, right? And so, there is definitely an argument that we could save some of those costs if we replace social assistance or E.I with the basic income particularly those two pieces of it. The other 33 are pretty cheap to administer. And I think there’s some intuitive appeal to that particularly for social assistance. I mean caseworkers will go through your credit card statements and figure out if you spent too much on groceries this month and not enough on rent. I mean that happens. And it costs a lot of money to hire the people that go through your credit card statements to make sure you didn’t spend too much on food. And that money could be potentially better spent on just supporting people and allowing them to make their own decisions. That’s the intuitive appeal of eliminating say social assistance and E.I and replacing it with basic income. One of the challenges of course is that you do actually want a rapid response mechanism for social assistance and E.I. You don’t want to have to wait a year to get your E.I benefits. I mean you lost your job, right? You need income replacement not a year from now or a year and a half from now, you need it now. You need it a week or two after the end of employment. And same for social assistance, right? I mean if you for whatever reason your social assistance run out and you can’t work, you’re disabled, whatever the issue is, you can’t wait a year and a half for that money to start coming in, you need to have that money coming now. And the more you want rapid response, well it’s going to cost money ’cause someone has to staff those phones to make sure that, you know, your proof of employment is coming in correctly and so on. And so, I think that you could probably save some money there by replacing those with a basic income. But it would certainly never be the same cost as a basic income that allows you to wait for a year and a half before it starts to fill in. Doug Hoyes: And so, I guess the answer in part is we have to target the help where it’s needed most. I mean you identified the people aged 50 to 65 who are kind of in a grey zone. I mean once you’re 65 you become eligible for a lot of different things, OAS, GIS and so on. When you’re under the age of 50 you may still have children, you’re receiving child tax credits, child benefits and so on for them. But between 50 and 65 your health starts to fade but you’re not old enough to be getting the specific pensions perhaps so rather than a basic income that covers everybody, do we need things that are targeted towards the specific areas of needs so we do the most benefit but keep the costs under control? Is that a possible approach or is that really what we’re already doing? David Macdonald: Yeah. Well in essence there isn’t anything that covers people from 50 to 65 except for the sales tax credits, which say in Ontario are worth about $600 a year. So, that’s a very, very minimal basic income. And that’s one of the groups, particularly single adults and couples without children that are not seniors. That’s really the area where we don’t have a lot of basic income support at present. And they would be the folks that would benefit most from a basic income. And so, if you were to target that age group, you’d probably get the biggest bang for your buck. And back to your point, in essence the 33 basic incomes that we already have are targeted, they’re targeted by income for sure so as you make more you get less from the benefit. But they’re also targeted by age group so that it’s – so, seniors of instance we know that without the basic income programs for seniors that senior’s poverty rates would be dramatically higher and they were in Canada in the 70s, 60s and 70s prior to the implementation of some of the basic income programs. And so, I think that it’s often seen, a basic income is often seen as a silver bullet to eliminating poverty and I think that hopefully this report points out that it can be very helpful for some groups but it’s not as useful for other groups, particularly young workers who have higher market incomes and therefore see a bigger claw back from it. And so, when we’re trying to address poverty, there isn’t a single answer, there are several answers, one of which is basic income for sure but others of which might involve better programs on the labour market side. So, things like, you know, lower youth unemployment, programs to drive up wages, higher minimal wages for instance. There’s a multiplicity of solutions to poverty not just a single one. Doug Hoyes: So, thanks David, that’s a good summary point. Basic income is not a silver bullet. If it was that simple we would have done it a long time ago. David, thanks for being here today. David Macdonald: Thanks for the call and hopefully we’ll talk again on it. Doug Hoyes: So, what’s my take on basic income? I agree that poverty is a huge problem. 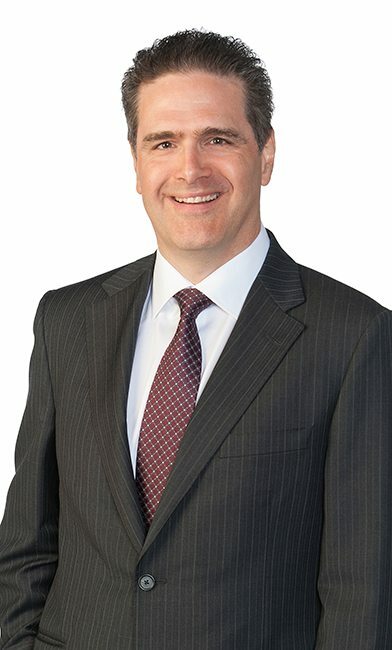 I’m a Licensed Insolvency Trustee and my firm, Hoyes, Michalos & Associates does thousands of consumer proposals and bankruptcies for people who turn to debt to make ends meet and eventually found themselves in deeper trouble. We meet every day with people who got into debt because of an unexpected reduction in income. Sometimes this is due to medical issues that mean they were no longer able to work, sometimes it’s because their pension income just doesn’t go far enough. However, for 37% of healthy working age Canadians, the main cause of insolvency is job related, either job loss or reduced income. There’s no doubt in my mind that a basic income could reduce the potential for some people to become insolvent. A basic income would be a form of insurance, lessening the need to turn to credit to pay for rent, buy food and to provide the basic necessities of life. However, as we discussed with David Macdonald, the cost of the basic income program is a big issue. And since there is no consensus on how it would work, it’s impossible to determine the true cost. An underlying principle of the basic income approach is the redistribution of wealth by flowing funds, through the government, to those with low incomes. While David pointed out the savings that could be achieved from the cancellation of existing support programs dispersed through federal, provincial and municipal governments, this is not enough to fully pay for the program. That means in all likelihood an increase in taxes. But I also see the problems that high taxes cause people. In fact 42% of debtors owned a tax debt at the time of their filing, either a bankruptcy or a consumer proposal, with an average tax debt balance of almost $22,000. I’m not talking about the top 1% or the top one tenth of 1%, these are tax obligations of the average working Canadian, often a self-employed person, themselves only earning an average income. So, if we need to raise taxes to pay for a basic income, that may increase the number of people who end up going bankrupt due to unpaid taxes. Do you see the problem? A basic income will keep some people out of bankruptcy, but if taxes go up it may push others into bankruptcy. There is no easy answer. I think with all problems it’s important to treat the underlying problem and not to treat the symptom of the problem. Poverty is not one problem with one cause. There are many causes of poverty, which is why a one size fits all solution won’t work. The causes of poverty for a 25 year old are much different than for a 75 year old. I’m sure everyone listening to me today knows at least one hard working young person who works two part-time jobs. They get four hours at one job and then race across town to get four hours at their second job. They get in their eight hours but it takes 12 hours to do it because they’re back and forth on the bus four times a day. And if they don’t get called into work that day, they get nothing. They need a full-time permanent job, not a series of part-time temporary jobs. The solution is that we need good jobs for our young people, that’s the real problem and that underlying problem won’t be solved with a guaranteed income. The situation is different for a 75 year old experiencing poverty. They’re more likely to have physical challenges or be on a fixed income and perhaps unable to return to work. A good job won’t help them because they can’t do it. They need access to medical care and perhaps homecare, access to transportation services if they aren’t mobile and other solutions unique to seniors. A basic income won’t get them the medical care they need or other support services. I’m not saying a basic income is a bad idea. My point is this, we as a society, need to determine our most pressing problems and then figure out what’s causing those problems. Then we need to find solutions to those problems. A one size fits all solution like basic income maybe part of the answer but it’s not the entire answer. If one of the causes of youth unemployment and poverty is an education system that’s not working, the solution is not a basic income, the solution is to fix our education system. If inadequate pensions are a cause of poverty among seniors, the solution is not to treat the symptom by creating a basic income, the solution is to fix the pension system. I’d like to end this podcast by giving you all of the answers to all of our problems but I can’t. These are complex issues and there are no easy solutions. Hopefully our discussion today makes us all think and that’s good. Let’s keep the discussion going because if we all put our heads together we can come up with solutions.